Home / Google Copyright Infringement / Internet / Google Copyright Infringement: What Does the Giant Site Do About Reports? Google Copyright Infringement: What Does the Giant Site Do About Reports? I won’t be talking about the technical aspect of Google copyright infringement. I’d like to share about a personal experience on what Google does about reports sent to them instead. The previous entry (Why Build My Rank Ranks Number One IMO) was about what BMR or Build My Rank’s response to an issue with unpaid short articles posted in their network. I mentioned that Google did so much more for me and I’d like to return the favor by writing about it here. It all started with Freelancer.com. I’d talk about how some people, but not the site in its entirety is scamming vulnerable freelancers some other time. For now, let me write about how Google came into the picture with the copyright infringement issue I mentioned in the previous post. It doesn’t actually look like copyright infringement at all technically since the short BMR articles were not copied and republished online. I haven’t even posted them and literally, the person who stole my content was the first to have them published. I would have let it go (not being paid for more than 20,000 words and over $160) if I was at least able to use those articles online. When I tried to do so, it registered as a duplicate. I tried to individually contact the websites and webmasters where the articles are posted but no one bothered to respond. I came across this Report alleged copyright infringement form of Google (specifically Adsense) while trying to figure out what to do with the unpaid BMR articles. I also find the article What do you do When Someone Steals Your Content very helpful. Although I only got to read the article while already emailing with Google’s removal team about the sort of copyright infringement problem. The removals team removes websites from Google’s index for a number of reasons. One of them is of course in relation to copyright infringement violations. The website or article will still exist but only on its own. It will not be displayed on Google’s search results even if you type the whole URL. I tried it and it works. If the unpaid articles are no longer showing up on Google, then that person’s efforts in back linking for his sites or pages are futile. The links anchored on the articles posted at the BMR network is not counted as a point for the sites where the links are redirected to. Although there are other search engines out there, Google is still more than 75% larger than all search engines combined together. Without Google, he is doomed to fail. Much as I’m itching to mention the guy’s name and all the links where he posted the articles to, it’s pointless and useless use of energy. I already posted about his copyright infringement sort of scheme through as many scam sites as I can. I mentioned other reasons why I prefer not to divulge further information in the previous post too. I never expected Google to respond to the copyright infringement email. I only wanted to express my thoughts and be done with it. Google did respond. But since the only way to prove my ownership of the articles is through email, I provided them links to email attachments I’ve sent to the fraudulent person. Of course, they can’t read the email attachments even if they own the mail service. XD They then asked me to copy the contents through a Word or PDF file, which I did. The whole process takes days but I waited to see what happens. The rest is now history. Aside from removal or URLs in Google’s index, all Google related accounts will be removed for repeat offenders of copyright infringement acts. These include Adsense, Gmail, Blogger, etc. Come to think of it, the person was probably reported for copyright infringement and other related issues in the past already. None of his sites or pages has Adsense. His Gmail is no longer working too. After seeking the assistance of Google about copyright infringement, Build My Rank was next and it was chronicled in the previous post. I still didn’t stop though. I contacted a fellow writer who was fooled by the same scheming person. She actually posted comments at the clarification board for that person’s projects in Freelancer.com. Even after all these, the schemer continued to post projects and Freelancer said they were still investigating his account. It’s as good as saying they won’t do anything. Going back to the other writer, I purchased some of the unpaid BMR articles she wrote as I have thought of putting those articles for better use soon. She already sold some in the free market section of Freelancer, gave the rest to a friend, and published some others online. She scanned what was left and sold the ones which were not yet posted online to me. The rest as we both expected were already published on the BMR network. I explained how to contact Google about copyright infringement so she can go through the same process herself. I probably take for granted how important this issue is in the past. But after going through all these, I now understand how everything online has to be properly credited including articles, photos, and videos. To prevent any copyright infringement problems, I make sure to properly credit someone else’s work on my posts here. If there is anything I haven’t credited yet, especially from very old posts, please let me know. Aside from copyright infringement issues, it was more like giving a person the respect that is due him/her. So in case you ever used any form of content from another site or blog, make sure to mention the source URL and any other information you can add. Not everyone will go through the same dilemma I shared here but freelancers of any kind are more susceptible to this problem. 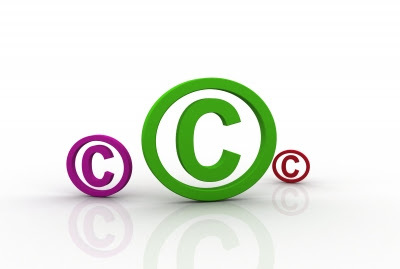 Both budding and experienced freelancers may still encounter individuals with no respect for other people’s work and violates copyright infringement laws left and right, so beware. As for the copyright violator I was talking about, I hope you get to read this and God bless you much.